What type of Order would you like to place for this item? Pet Wants Chicken Meal & Brown Rice Recipe Dog Food is formulated to meet the nutritional levels established by the AAFCO dog food nutrient profiles for All Life Stages including growth of large breed dogs (70 lb. or more as an adult). A $3.00 fuel service charge will be applied to orders of $9.99 or less. 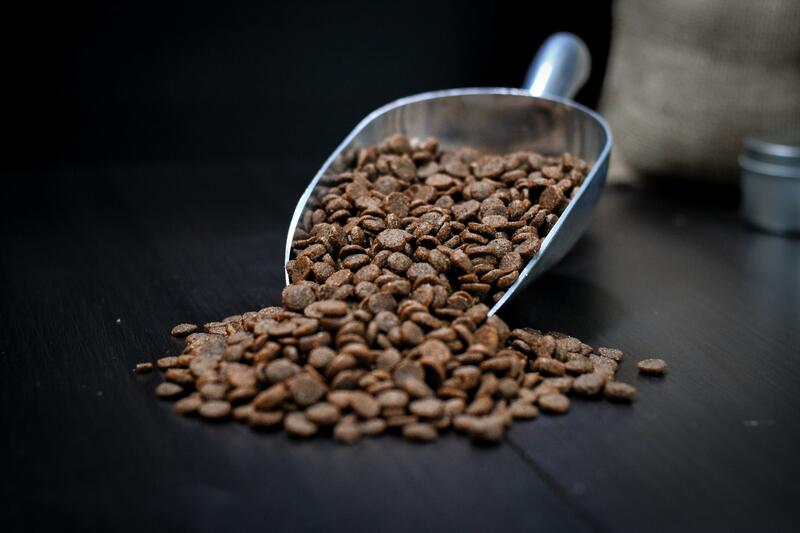 * Not recognized as an essential nutrient by AAFCO dog food nutrient profiles. Note: Feeding amount may vary based on age, activity level, and size of dog. Pregnant females should be fed up to 25—50% more in the last 3 weeks of gestation. Lactating females and puppies up to six months should be fed up to 2 times over guidelines. Always consult a veterinarian if unsure. Always provide plenty of fresh clean water daily. Liver Alone Flavor Shakes $9.00 ea. 6" Beef Trachea Chew $4.00 ea.